The substrate must be clean, dry and dust free. It then needs to be primed using the Water Based Primer or the Universal Primer, both of which will help reduce the absorptive capacity of the substrate. Mechanical fixings are used as a secondary method of securing the insulation to the substrate. Metal fixings should be used for Mineral Wool insulation. The basecoat reinforcement layer is applied to the insulation and consists of the EWI-225 Premium Basecoat. The reinforcement layer creates a smooth surface before applying the render. 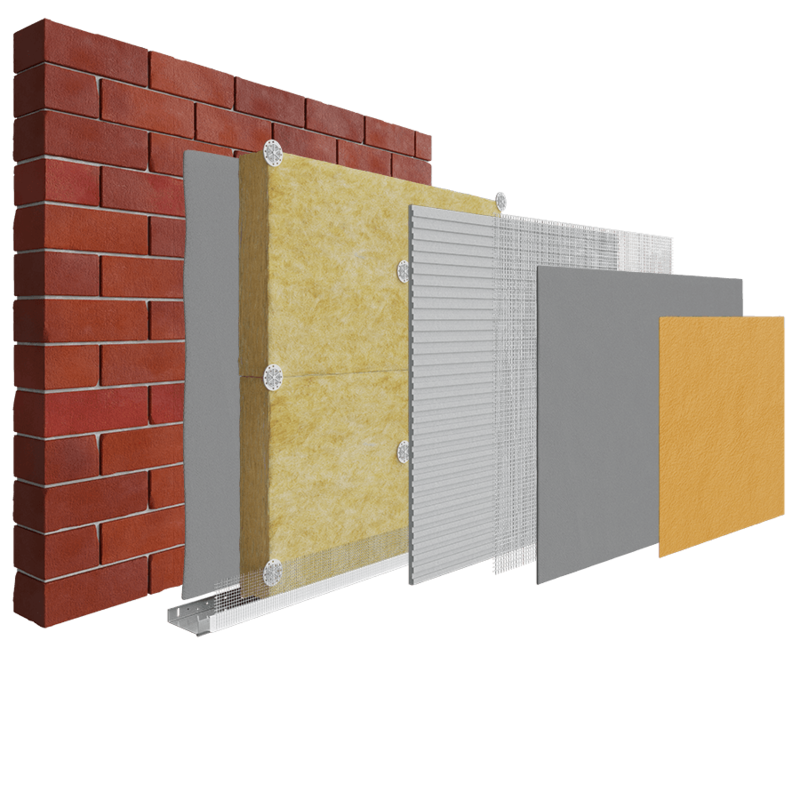 Rockwool insulation features as part of our classic Mineral Wool system for standard brick/block substrates. Due to its excellent fire resistance, breathability and insulating capabilities, Mineral Wool insulation systems are a premium choice for all-round performance. Fix the insulation using our Premium Basecoat and Metal Pin Fixings for a secure structure, then finish the system with a breathable, decorative thin coat render.